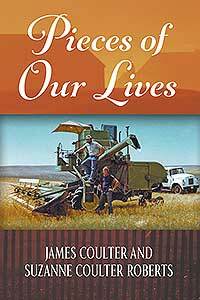 Pieces of our Lives is just that—Jim and Suzanne’s memories of growing up in Western Nebraska, youthful shenanigans, college days, minor irritations, thoughts about space, and more. It is dedicated to the memory of their brother Bob, who was killed while working as an electrical lineman after a late spring blizzard. It begins with his story. This little book might make readers shed a tear, and surely many stories will make them laugh. Among the topics are Acrimonial Farming, An Encounter at Home Depot, I Don’t Believe in UFOs, Harvest Lesson, Grandma and the Bull, Suzanne Pegs the Studebaker, and Juvenile Demolition. Anyone who grew up in a small Midwestern town, lived and worked on a farm, attended a Nebraska university or college, or looked up at the skies and wondered about space and time will find this book interesting. Suzanne Coulter Roberts grew up in Potter Nebraska, attended Nebraska Wesleyan, and graduated from Omaha University (now UNO). She married Wayne Roberts in 1958. They have three children, nine grandchildren, and five great-grandchildren. The family stories are in her memoir, My Life So Far, written in 2016. She and Wayne have lived in San Antonio 41 years, where she taught school 25 years. Jim Coulter grew up in Potter, played four sports, received a BA from Wesleyan University and a Masters from the University of Nebraska in Lincoln. He taught English for thirty-four years in Omaha and also worked as an auto mechanic and later, in retirement, as a handy-man. He married Carol Sharp in 1962. They have one daughter, Amber. Jim has various hobbies including making decorative boxes and fanciful bird houses. He also greatly enjoys riding motorcycles. 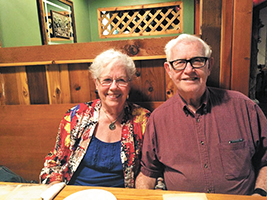 He and Carol have made Omaha their home for over fifty years.